Adobe Premiere Pro is one of the best video editing tools on the market, but some users reported Adobe Premiere Pro couldn’t find any valid editing modes message on their PC. According to users, this message prevents them from running Adobe Premiere Pro, and in today’s article, we’re going to show you how to fix this issue. Adobe Premiere e Pro could not load any audio drivers, find any video modules Windows 10 – These are some common problems that can appear with Adobe Premiere Pro, but you should be able to fix them using our solutions. Adobe Premiere Pro CC not responding, startup error – Sometimes Adobe Premiere Pro won’t start at all. This can be due to your antivirus or due to the lack of administrative privileges. To fix the issue, try running the application as an administrator and check if that helps. Adobe Premiere Pro won’t open – If this problem occurs, the issue might be related to your graphics card drivers. If your drivers are up to date, make sure that Adobe Premiere Pro is using the dedicated graphics as the default graphics processor. Adobe Premiere Pro couldn’t find any valid editing modes message, how to fix it? Having a good antivirus is important if you want to keep your PC protected from online threats, however, sometimes your antivirus can interfere with your system and cause issues with certain applications. If you’re getting Adobe Premiere Pro couldn’t find any valid editing modes message on your PC, that’s because your antivirus is interfering with it. To check if your antivirus is the problem, open it and try disabling certain features. After doing that, check if the problem is still there. If that doesn’t help, your next step would be to completely disable your antivirus. This may leave your PC vulnerable, but if you’re using Windows 10, you’ll remain protected by Windows Defender, so there’s no need to worry. If disabling the antivirus doesn’t help, you might want to try removing your third-party antivirus. Many users reported this issue while using AVG Antivirus or Constant Guard, but after removing them, the issue was resolved. Bear in mind that these applications aren’t the only culprits, and other antivirus tools can also cause this problem, so if you’re having issues with Adobe Premiere Pro, be sure to remove your antivirus and check if that helps. If removing your antivirus solves the problem, this might be a perfect time to consider switching to a different antivirus solution. 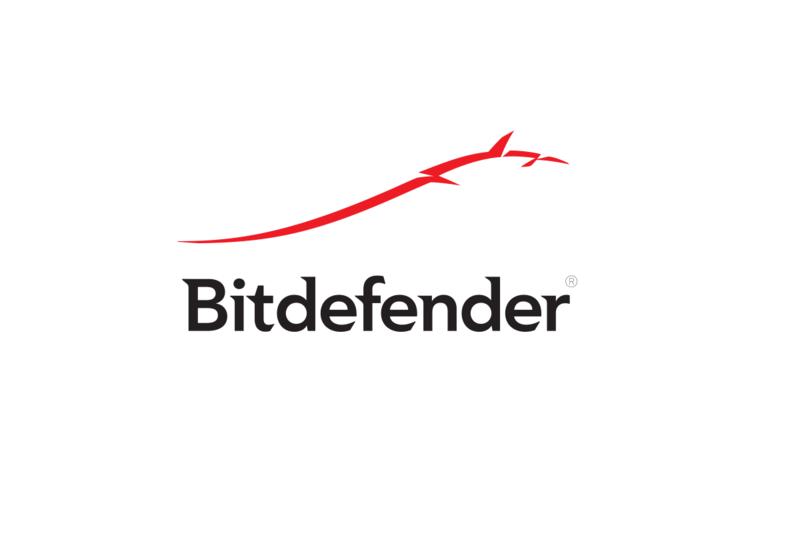 There are many great antivirus applications on the market, but if you want a reliable antivirus that won’t interfere with your system, then Bitdefender might be the right choice for you. According to users, if you’re getting Adobe Premiere Pro couldn’t find any valid editing modes message, the problem might be related to the incomplete installation. Several users reported that this error occurred because the Settings directory was missing from the installation directory. If that’s the case, try installing Adobe Premiere Pro on a different PC and check if it works. 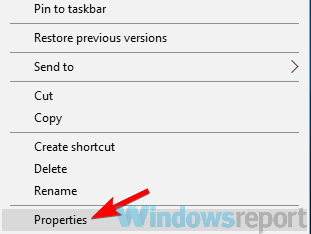 If it does, locate the Settings directory and copy it to the first PC. After doing that, Adobe Premiere Pro will start working on your PC. This is a bit crude solution, but it works according to users, so feel free to try it out. Adobe Premiere Pro is a hardware intensive application, and in order to use it, you need to have a powerful graphics card. Many laptops and some PCs come with both dedicated and integrated graphics. According to users, Adobe Premiere Pro couldn’t find any valid editing modes message appeared because Adobe Premiere Pro was set to use integrated graphics. Integrated graphics usually doesn’t have enough hardware power to smoothly run Adobe Premiere Pro, and that can lead to this error. To fix the problem, you’ll need to set your dedicated graphics as the default processor. To do that, you’ll need to open your graphics card control panel such as the Nvidia Control Panel or Catalyst Control Center and set your dedicated GPU as the default graphics processor for Adobe Premiere Pro. Navigate to Power > Switchable Graphics Method > Select the graphics processor manually and apply changes. Go back to the Power section and click on Switchable Graphics. Make sure that High-performance GPU is selected and save changes. 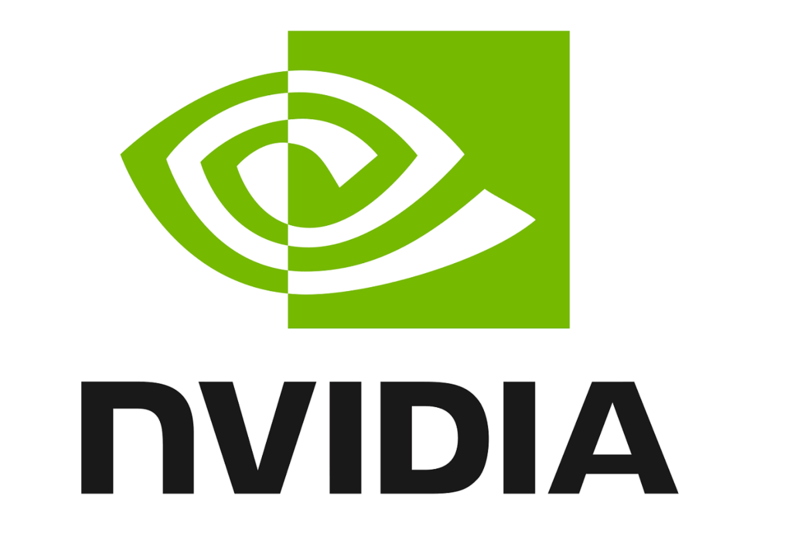 Bear in mind that the aforementioned steps work only for AMD graphics, but if you’re using Nvidia graphics, the process should be more or less the same. After making these changes, check if the problem is still there. According to users, Adobe Premiere Pro couldn’t find any valid editing modes message can appear if you don’t have the necessary privileges to run Adobe Premiere Pro. However, several users reported that they fixed the problem simply by running the application as an administrator. Locate Adobe Premiere Pro shortcut and right-click it. Now choose Run as administrator from the menu. After doing that, the application should start. If the problem doesn’t appear, it means that administrative privileges were the issue. Bear in mind that you’ll have to repeat these steps every time you want to run Adobe Premiere Pro. Right-click the Adobe Premiere Pro shortcut and choose Properties from the menu. 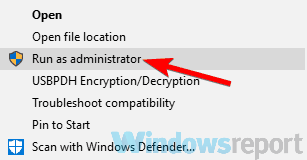 When the Properties window opens, navigate to the Compatibility Now check Run this program as administrator option and click Apply and OK.
After doing that, the application will always start with administrative privileges whenever you use this shortcut, and the problem will be permanently resolved. According to users, this issue can sometimes occur if your graphics card drivers are out of date. To fix the problem, it’s advised to update your drivers to the latest version and check if that helps. To do that, you just have to visit your graphics card manufacturer’s website and locate the latest drivers for your model. Once you download and install the latest drivers, check if the problem is still there. If this method seems a bit complicated, you can always use third-party tools such as TweakBit Driver Updater to automatically update all your drivers with just a couple of clicks. Once your drivers are up to date, the problem should be resolved and everything will start working again. According to users, sometimes Adobe Premiere Pro couldn’t find any valid editing modes message can appear due to your BIOS settings. 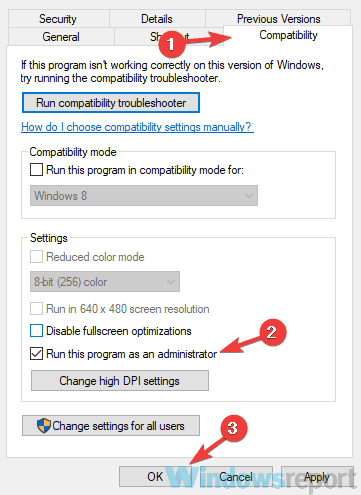 As we already mentioned in one of our previous solutions, this issue can be caused by your integrated graphics, and in order to permanently fix the problem, you need to disable it from BIOS. Restart your PC and boot to BIOS. Once you enter BIOS, locate Switchable Graphics option and change it from Dynamic to Fixed. Now save changes and restart. Once your PC restarts, the problem should be permanently resolved and Adobe Premiere Pro will start working again. To see how to properly disable graphics card in BIOS, we suggest that you check your laptop’s manual for detailed instructions. If you’ keep getting Adobe Premiere Pro couldn’t find any valid editing modes message while trying to run Adobe Premiere Pro, the issue is most likely related to a corrupted installation. To fix the problem, it’s advised that you completely remove Adobe Premiere Pro from your PC and then install it again. There are several ways to do that, but the most effective one is to use uninstaller software such as IOBit Uninstaller. By using such software you’ll completely remove the selected application along with all of its files and registry entries. 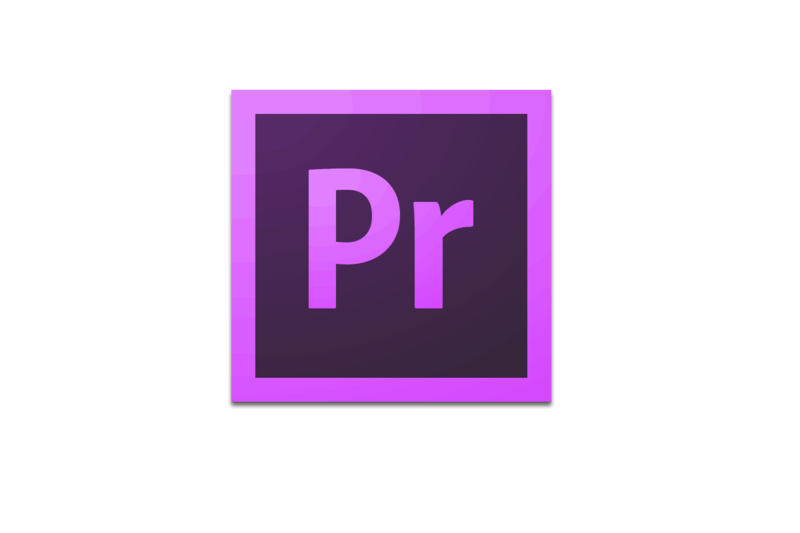 Once the application is completely removed, install Adobe Premiere Pro and check if the problem is still there. Adobe Premiere Pro couldn’t find any valid editing modes message can be problematic, and in most cases, this issue is caused by your drivers or by your graphics card. However, you should be able to fix the problem using one of our solutions.